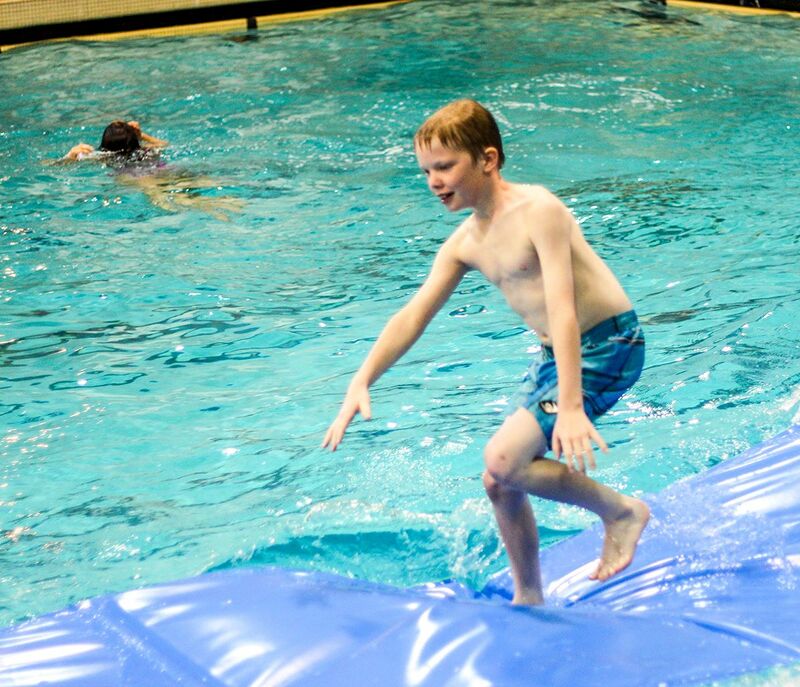 Mt Rainier Pool is available for rentals on Saturdays (Sundays coming this summer) for events ranging from birthday parties to scuba classes and everything in between! Every rental has mats, noodles, a diving board, and lifejackets upon request. Lifeguards are constantly on duty during the rental ensuring everyone’s safety and all pool rules are given before the rental starts. Please be aware that all children under the age of 7 and any children wearing lifejackets regardless of age are required to have an adult 18 years or older in the water with them. There is a maximum of 2 children per adult at any time. For the safety of all, there will be no exceptions to this rule. Any children wanting to go in the deep end or off of the diving board will need to pass our swim test without the aid of any flotation devices. Any flotation devices brought in must be Cost Guard approved and accepted by our lifeguards. Our lobby is also available for rentals and we do have a refrigerator to hold perishable food while the pool is in use. Feel free to bring your own decorations – you can hang posters or streamers and bring table coverings. If you have any questions about acceptable decorations, don’t hesitate to ask upon scheduling your rental. The pool will provide tables and chairs for any lobby rental. We are typically able to schedule rentals up to 3 months in advance. Payment for all rentals are due actual rental day. Front lobby is also available for rental ($45 for Residents* and $55 for Non-Residents). The District reserves the right to charge additional fees for before or after hours events and special circumstances to better steward District resources. *Resident Rate – Discounted rate for residents of Des Moines and Normandy Park. Add a little fun to your next birthday party or rental with the water walk. The Water Walk is also available during certain swims and special events. The District is looking at adding elements to improve your event. Sign-up for our email notification system to be updated on these future items. Please call us at 206.824.4722 or email us at infor@mtrainierpool.com for more information about the water walk. The Mount Rainier Pool rents the pool per lane to private groups to promote swimming and fitness. Lanes can be rented per hour during specific times during operational hours. Lanes are rented $15/hour per lane during peak times, Mon-Fri, 4:00 – 8:00 p.m., an $12.50/hour per lane for all other open times. Before and after hour rentals are dependent on staff availability and may incur additional costs. Please call Dominic at 206.824.4722 or email us at infor@mtrainierpool.com for more information about lane rentals and availability.